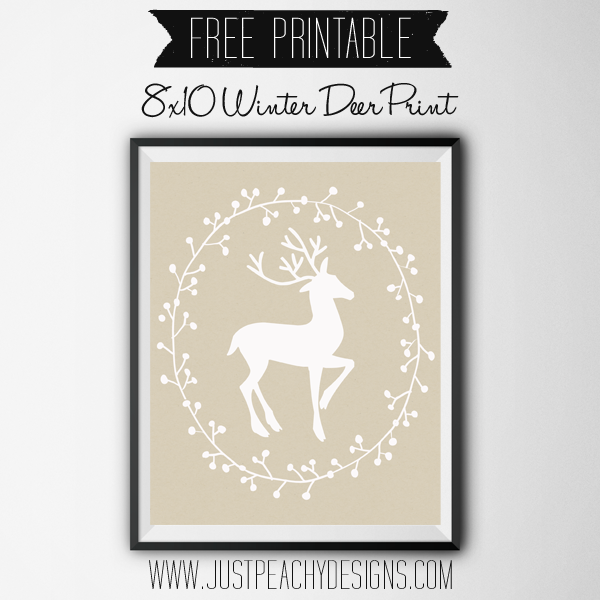 This free winter-themed printable features a white deer silhouette against a kraft paper colored background. The beautiful wreath graphic is designed by Angie Makes. Go check the website - her work is beautiful, and she offers lots of freebies. To download the print, just click the image above. Enjoy! For more Christmas freebies - including treat bag toppers, lunch notes, digital papers and so much more - just follow this link! To see more printables available for purchase, just follow this link to our Etsy shop. This is so pretty. I'm totally loving deer and plaid this year. Ooo, Christmas plaid ... you just inspired me next digital paper set! Thanks! Such a simple design, very nice!! Beautiful! I love it! Thanks for linking it to Oh My Heartsie Girl WW!